Book | 2008 | More titles to the topic Availability: Items available for loan: [Call number: BID 705 B] (1). Book | 2012 | Leseförderung | Schulklasse | Öffentliche Bibliothek | More titles to the topic Availability: No items available Checked out (1). by Deutsches Bibliotheksinstitut | Höhl, Martha [Herausgeber]. Book | 1982 | More titles to the topic Series: Dbi-Materialien: 14Availability: Items available for loan: [Call number: BID 5 D] (1). 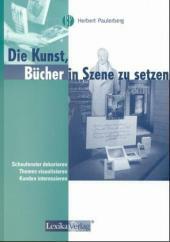 by Deutsches Bibliotheksinstitut | Busch, Rolf [Herausgeber]. Book | 1997 | More titles to the topic Series: Dbi-Materialien: 164Availability: Items available for loan: [Call number: BID 5 D] (1). 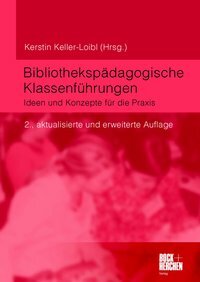 by Deutsches Bibliotheksinstitut | Wimmer, Ulla [Herausgeber]. Book | 2000 | More titles to the topic Series: Dbi-Materialien: 196Availability: Items available for loan: [Call number: BID 5 D] (1). Book | 1994 | More titles to the topic Availability: Items available for loan: [Call number: BID 705 R] (1). by Hanke, Ulrike [Autor] | Sühl-Strohmenger, Wilfried [Autor] | Straub, Martina [Autor]. 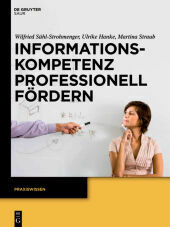 Book | 2013 | Didaktik | Informationskompetenz | Bibliothek | More titles to the topic Series: Praxiswissen.Grundlagenwerk zur Professionalisierung von BibliothekarInnen im Bereich Didaktik/Instructional Design.Availability: No items available Checked out (1). Book | 1999 | Dekoration | Warenpräsentation | Sortimentsbuchhandel | More titles to the topic Series: Berufspraxis.Availability: Items available for loan: [Call number: ALLG 760 P] (1). Book | 2014 | Makerspace | Bibliothek | Einführung | More titles to the topic Series: Practical guides for librarians 8.Inhalt: The library as a creation and collaboration space --The maker movement and building up a making mindset -- An overview of makerspace implementations -- What will patrons make in your makerspace? -- Budgeting for a makerspace -- Resources for audio, image, and video creation -- Resources for crafts and artistic pursuits -- Resources for electronics, robotics, and programming -- Resources for 3D printing and prototyping -- Resources for the unexpected: lesser known making -- Approaches for developing a makerspace that enables makers -- Re-making the library? : tracking the present and future of making in libraries -- Appendix: makerspaces in libraries survey.Availability: Items available for loan: [Call number: BID 705 B] (1). by Rakowski, Franz | Deutscher Bibliotheksverband. 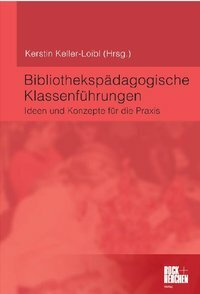 Arbeitsstelle für das Bibliothekswesen. Book; Literary form: not fiction | 1977 | More titles to the topic Series: AfB-Materialien 18.Availability: Items available for loan: [Call number: BID 705 P] (1). 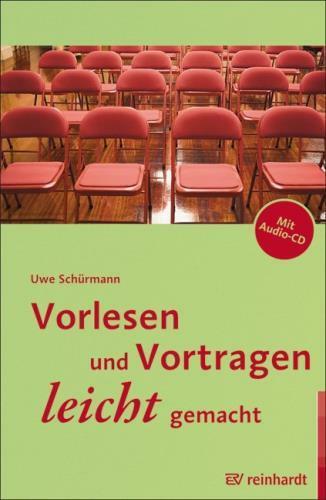 Book | 2010 | CD | Ratgeber | Atemtechnik | Stimmgebung | More titles to the topic Ein Handbuch zu verschiedenen Vortragssituationen und Textarten im Beruf und bei kreativen Bühnen-Auftritten mit vertiefenden Hörbeispielen auf Audio-CD.Availability: Items available for loan: [Call number: TH 185 S] (1). Book | 1926 | More titles to the topic Availability: Items available for loan: [Call number: BID 705 A] (1).